An example of Wedding Lambathes (candles) for a church wedding. 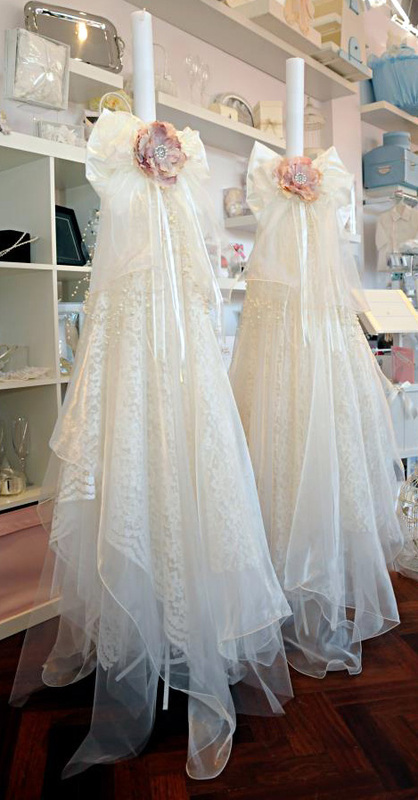 These examples were lined with high quality bridal lace and finished with sheer silk organza. Decorated with a vintage fabric rose and pearls. Prices vary and depend on your chosen material and decoration.